Perhaps the most notable change that will soon affect the creek is the multistory office building being erected at Coleman Boulevard and Mill Street. Colloquially referred to as the “Shem Creek Parking Garage,” its modern design and 55-foot height have been hotly contested for its nearness to the creek and historic district and for the way it will alter the area’s small-town, fishing-village aesthetic. 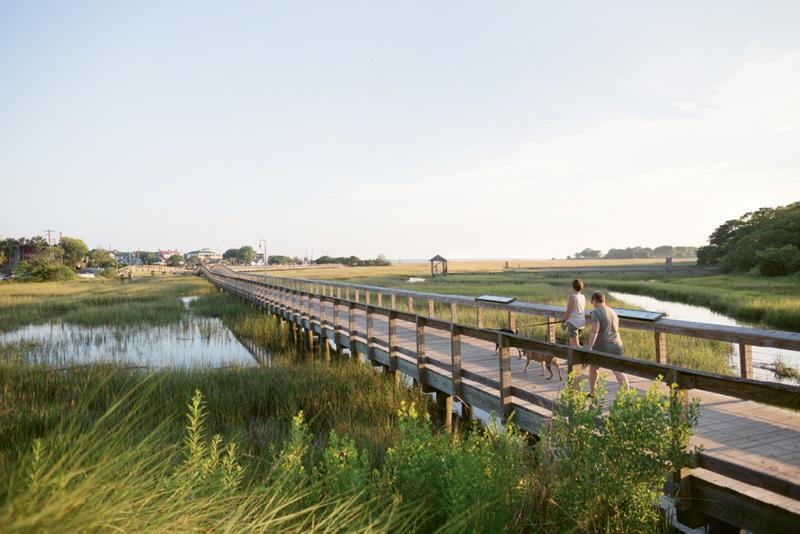 Phase One of the Town of Mount Pleasant’s Shem Creek Park, including 2,200 feet of boardwalk, was completed in October 2012. The town-funded construction of public walkways along the northwestern shore. 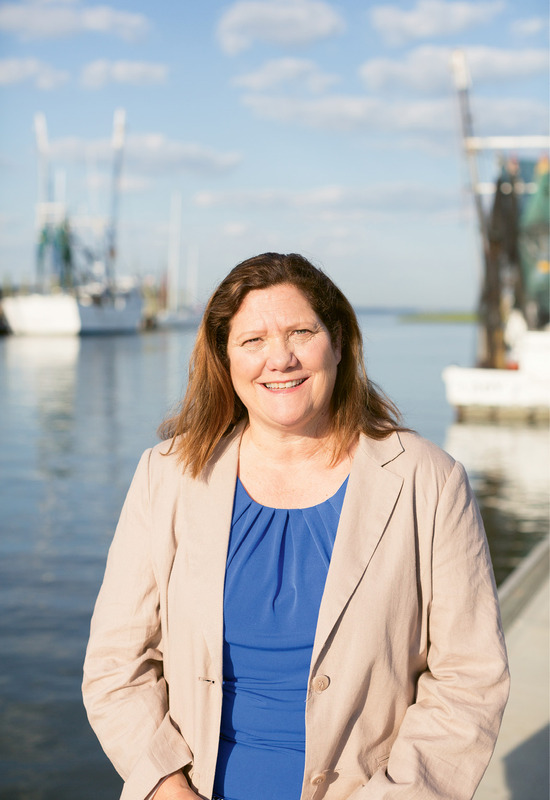 Mount Pleasant Mayor Linda Page; in April, Town Council created a new Shem Creek Task Force to “preserve and promote” the creek. The project was conceptualized in 2010 by the Town of Mount Pleasant to offset the need for parking in this busy area and as a component of the municipality’s plans for the revitalization of Coleman Boulevard. Working with developer Tex Small and with $2.7 million in accommodations tax money committed by the town, the project gradually morphed from simple parking garage to a general use office building, with parking available to the public after business hours and on weekends. The unpopularity of the project has made this one of the most controversial issues in recent town history. For many, the “parking garage” became synonymous with other frustrating development issues accompanying the town’s escalating population. Bolstered by advocacy organizations, such as Save Shem Creek Corp., and informal activist groups, like The Creekers, citizens bombarded council hearings in such numbers, town administrators had to arrange for special facilities to accommodate them. 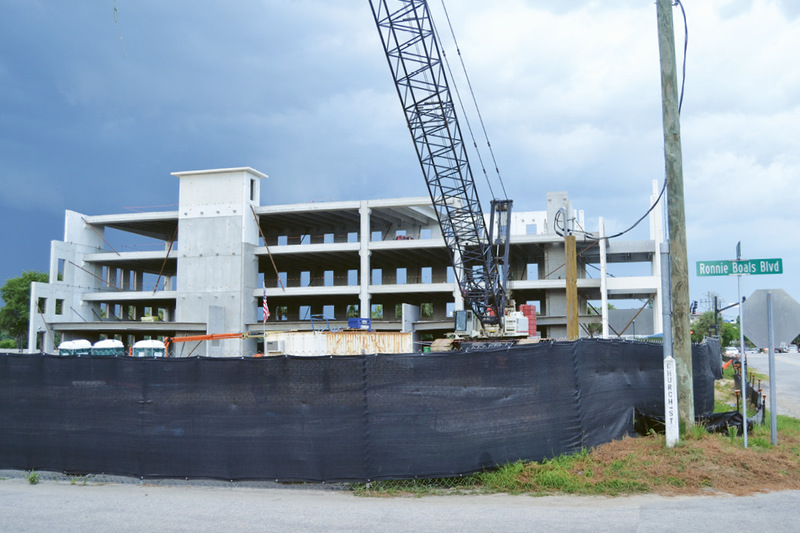 Last summer, Save Shem Creek initiated a lawsuit with hopes of legally stopping the parking garage. The town countersued. In a case of too little, too late, ground was broken for the building in November. Both lawsuits were dropped this spring. “They made their mistake by not placing an injunction on the project early on,” says Mount Pleasant Mayor Linda Page, who inherited the parking garage issue, as well as a population and building explosion, when she took office in 2013. When Mayor Page graduated from Wando High School in 1976, the town had some 9,000 residents. Recent census estimates count 81,300. In 2015, four new town council members with shared concerns around land use were voted into office. Since then, council has initiated steps to stem the tide of development, including changes in building height; new set-back parameters; and, in some cases, halting proposed developments altogether. This has brought some developers, including Tex Small, to react through litigation. The town is now facing multiple lawsuits from developers seeking reparation of monies they assert were lost because of changed guidelines. That’s a good question. The mummichogs are still alive and swimming, yet the creek’s sediment and water quality, especially at the headwaters, remain dangerously precarious. Perhaps the state of the creek can best be summarized as “pivotal.” The shrimpers are holding their own. Pleasure craft happily ply the waters. Yet the creek is absorbing more use than ever before in its history. More people, more development all cast a shadow on this place’s uncertain future. 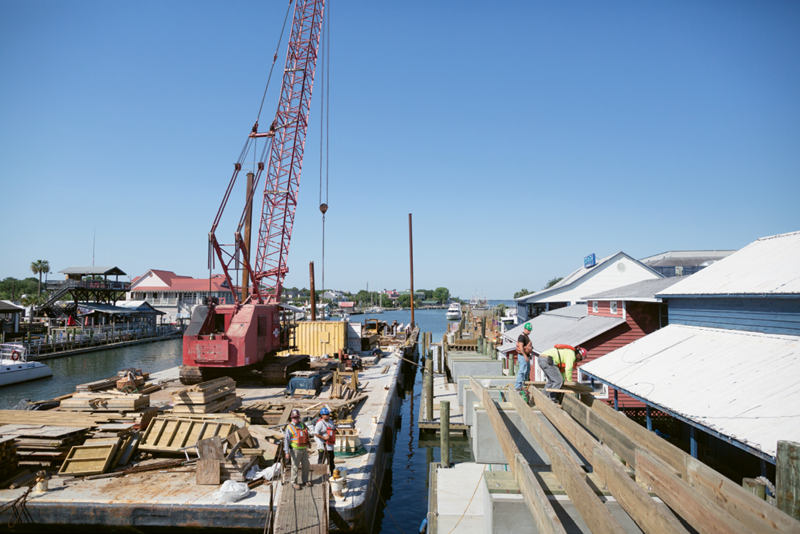 If you missed any section of the Shem Creek story click here to view all the articles.